Art/Women/California 1950-2000: Parallels and Intersections is an unprecedented examination of the impact that specific women artists, working in California in the second half of the twentieth century, have had on broadening the definition of art. Twenty preeminent scholars from diverse cultural backgrounds investigate how the vast sociopolitical changes of the post-World War II era affected these women and how the ensuing events influenced the art that they produced. This book outlines the role these pivotal artists and their work played in reshaping the California cultural profile into what it is today. 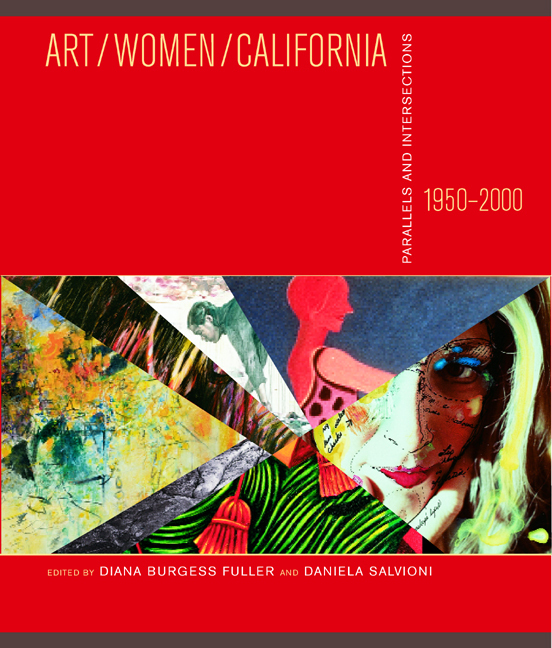 Illustrated with more than one hundred color plates and duotones, Art/Women/California 1950-2000 reveals the richness of this fifty-year period by contrasting and comparing the artists and their varied artistic practices in relation to the larger sociopolitical context. The book employs a variety of historical perspectives to reflect the distinct and parallel experiences of California's major cultural communities while revealing points of intersection by analyzing shared themes and practices. Because California serves as a gateway for a myriad of immigrants and an epicenter for the feminist movement, and because of its history of activism, its culture of experimentation, and its reputation for innovative technology and media, the state has evolved into a crucial and inspirational environment for women artists. Their work continues to transform our perceptions and revitalize art's connections to its surrounding environment and community. Exploring the conjuncture between place and artistic activity from multiple perspectives, this book stands as a testament to the rich diversity that is contemporary California culture. Diana Burgess Fuller is an editor, curator, and arts administrator. Daniela Salvioni is an art critic and curator. "I Dream I'm the Death of Orpheus"
"Kopid'taya (A Gathering of Spirits)"
"Yes, We are Not Invisible"
What Is an Asian American Woman Artist? Excerpt from "The Poet in the World"
"To We Who Were Saved by the Stars"